P4 75 2103 cm³ - ost. 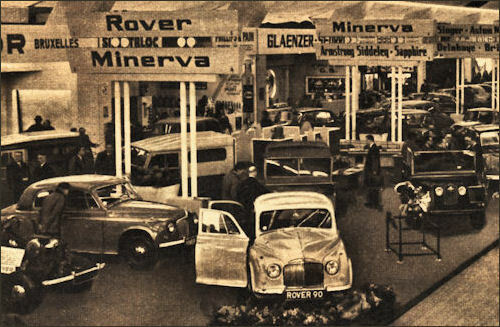 rok "cyklop"
Rover stand at Brussels Motor Show. 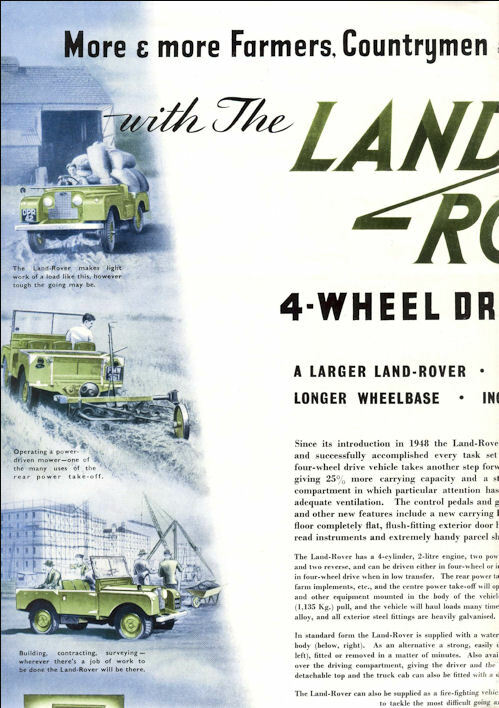 Land Rovers are made at the remains of famous Minerva factory. 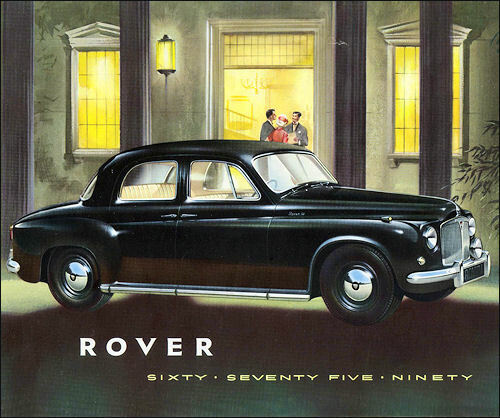 In August 1953, Rover launched the 90 and 60 Saloons as alternative – engined versions of the existing 75 model, the bodywork and chassis being common to all three. The 90 model is powered by a 2638-cc 90-bhp engine and the 60 by a 1997-cc 60-bhp unit; all had four cylinders. Modifications made to the 75-also incorporate on the other two versions-included a central lever gearchange, repositioned handbrake, and synchromesh on second gear as well as third and top. The 90 could be distinguished externally by the badge on the scuttle and the long-range lamp on the front bumper. Wheelbase is 9 ft 3 in, tyre size 6-00-15. From 1954 "75" fitted with 80 bhp 2230cc engine. Major revisions in 1954 included wider three piece rear window, raised boot line, and larger vertical tail lights. 75 2103 cm³ – end of prod. 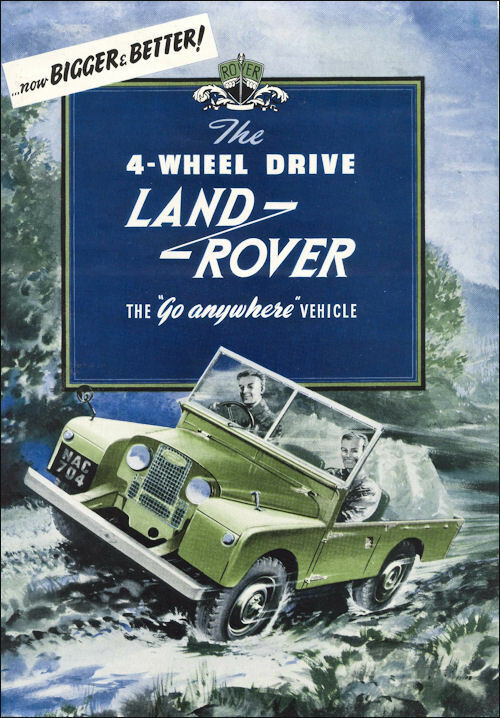 The early Land Rovers were criticised for having a small load space. 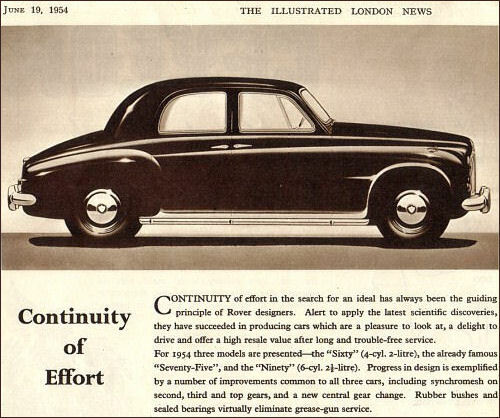 This was addressed for 1954 model year, when the 80" (2,000 mm) Land Rover was replaced with an 86" wheelbase version. 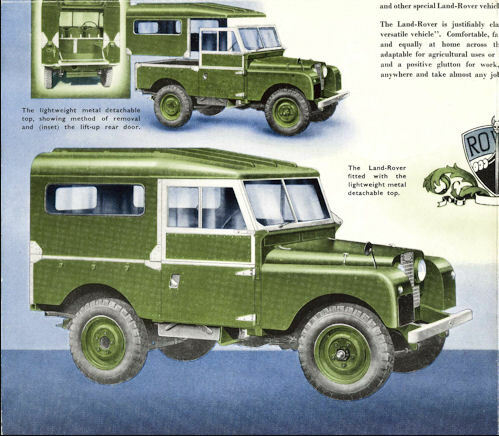 A "long wheelbase" 107" (2,700 mm) Land Rover "Pick Up" version was also introduced. 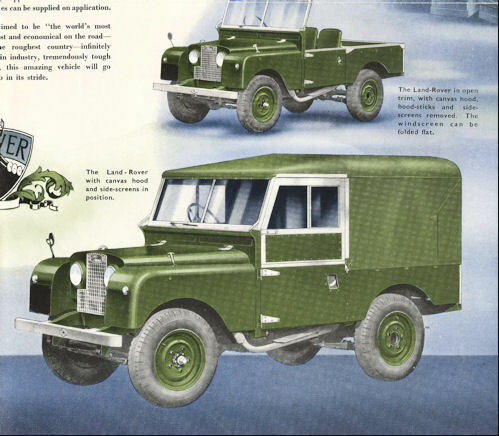 Land-Rover 86 Station Wagon was introduced in April 1954 (there had been a Station Wagon available on the earlier 80-in wheelbase chassis during 1948-51). The new wagon is a modification of the contemporary short-wheelbase (86-in) Land-Rover Regular 4 x 4 multi-purpose vehicle, which have a 1997-cc four-cylinder petrol engine. In August this engine was brought in line with that of the Rover 60 car (spreadbore cylinder block). 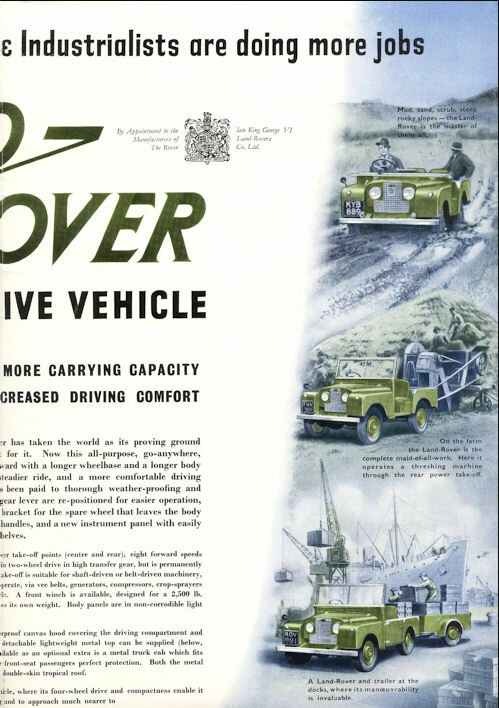 Autumn: 100,000th Land Rover produced. 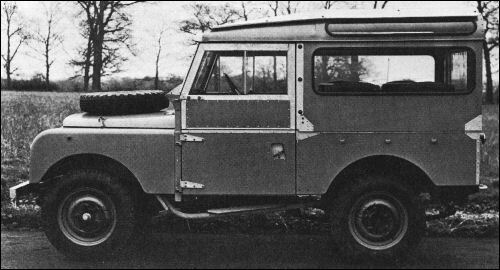 2400 Land Rovers Mk 3 (86" with 1997 cc engine) were ordered by the military during 1954 with delivery commencing during the autumn of 1954.